Thank You, Nancy Mulligan for nominating me with the Blogger Recognition Award! Since I began my blog journey a few months ago she’s been such an encouragement to me and made me feel welcome from the very start on this massive platform. Always spreading sunshine and sharing knowledge. Go checkout Nancy’s blog site – My Everyday Challenges, she posts daily to inspire all. 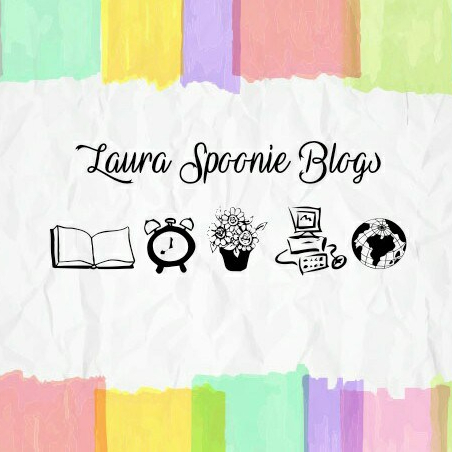 My name is Laura, blog name – Laura Spoonie. I officially began blogging in April of this year. I wasn’t really sure if I actually wanted to make blogging a continuous ‘thing’, but nonetheless I was inspired to write my first ever post called From Paris, With Love speaking about how I coped for the first time in Paris as someone who suffers from chronic illness. Since my first blog in April I knew I wanted to make my site a place to document self development, my art, poems and try to connect and educate those who may not know what it’s like to live with chronic illness. I took the time to think about what aims I have for my blog and the things I would like to speak about so I wrote a post earlier this month called, What to expect – Laura Spoonie Blogs ❤. My main reason for creating this space was to make it a place for anyone else who suffers from physical or mental illness to not feel alone in this on going battle. The phrase I use for my blog is, “One Spoon At A Time 🥄” – It’s a play on words from the well known catchphrase, “One Step At A Time”. The thought behind this catchphrase is that as a person with chronic illness you really have to take it slow (i’m talking sloth slow), spoons are a representations of energy and how much we can manage throughout the day. Each month I choose one of my main topics to focus on; Spoonie Series (life with chronic illness), Mental Health, Personal Development. I only began to upload posts more frequently since the start of this month so my main aim for August was to upload content that was about getting to know me and connecting more with the blogging community. Next month, my plan is to focus on mental health blogs and raising more awareness around the stigma of mental illness. I’m still a newbie to this blogging world but these are just some things I’ve been doing over this month as I’ve been posting more frequently. When you start blogging you may feel a little vulnerable, I know I certainly feel that way even months after posting some in depth stuff about the symptoms I experience. The thing is, by you putting yourself out there and making your blog a place where people feel comfortable and recognise they aren’t so alone is such a big deal… more than you may realise at this moment in time. Once you start to realise how much you can be helping others by sharing the pain you’re going through or have been through, showing your battle wounds and then using your experience as a way to help others, blogging will then be more than just writing post but you’ll truly see the importance of interacting and the purpose of your space in this community. There’s space for everyone to share their story. Before I got onto social media and started to connect with the chronic illness and mental health community I really thought I was alone. Through networking, writing blog posts and being transparent about the reality of my pain I’ve realised how so many people are in similar situations. I didn’t even focus on the numbers, my sole agenda was to start connecting with others and I would advise you to do the same. You can always feel a genuine connection versus just trying to build your follow count. Not to say there’s anything wrong with the instant gratification of numbers, but in the long run you’ll benefit more from concentrating on simply sharing your story and making genuine connections with your audience. You never know who needs you, unless you make yourself available. Share your story, share your truth and stand firm in it, you’ll be surprised by how many people you connect with just through your words. Whatever type of blog you want to create make it count. Turn your pain into power & your wounds into wisdom! 2) “If at first you don’t succeed, Dust yourself off & try again”. This blogging world is really about finding your niche (maybe your niche is to not have a niche 🤷‍♀️), learning from other bloggers and essentially learning from your prior mistakes. Don’t get too hung up on mistakes you make along the way because we’ve all got to start from somewhere. If something doesn’t work the first or second time round then aim for the next time. This also gives you a real chance to get onto social media and connect with other bloggers or people who are interested in what you have to write about. You can ask questions, do research, find other peoples blogs and you’ll be amazed by how much you can learn by just taking the time to reach out and bouncing off of each other. Mistakes are all a part of the journey and I guess what fails today could become a great blog post for tomorrow. Throughout these last couple of months I’ve been able to connect with so many people that have been an encouragement and also inspired me when I didn’t know what I was doing regards my blogging journey. They’re all inspirational in their own ways and deserving of the Blogger Recognition Award. Thank You again to Nancy for nominating me for the Blogger Recognition Award and for being a big light of encouragement, not just to the blogging community but in your whole being, it’s truly refreshing! If you want to join me on my journey for self-development, seeing my art or reading my poetry then subscribe to my blog. Posting Mondays and Fridays all the way from my bed, haha!